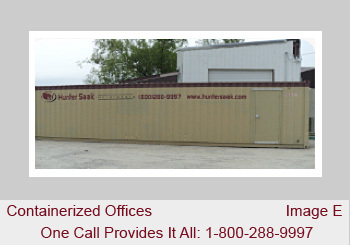 At Hunter Saak Investments LLC we offer containerized offices that can be constructed as temporary or permanent structures. 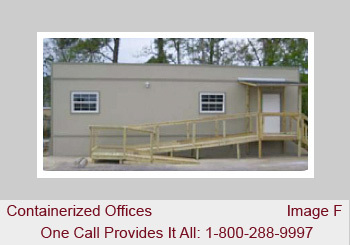 These buildings have the same capabilities as standard offices, plus are extremely cost-effective in their setup. Having the ability to move a workspace to a new location is an extraordinary option which most do not offer. 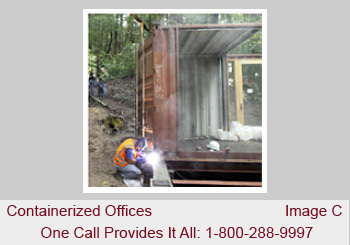 The containerized offices at Hunter Saak Investments LLC are extremely durable, almost impervious to corrosion and can withstand moisture, mold and most weather related damage. 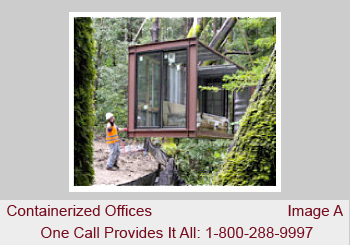 This make our offices ideal in areas that are prone to storms or have harsh climates. The exterior of the buildings are available with a highly-durable surface finish or with most types of standard or green technology friendly options. 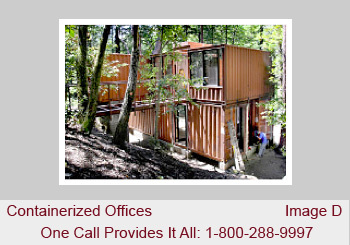 Also, due to the low cost associated with containerized offices, at times up to 20% less expensive than traditional methods, they are beneficial in larger, metropolitan areas, along with groups needing multiple offices in a single location. Their size can also easily be adjusted, either enlarged or reduced, depending on the needs of the business. We are also able to dismantled and relocated the structures, when required. 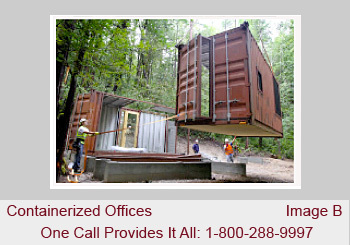 This makes Hunter Saak Investments LLC containerized office a perfect alternative to temporary or transitional buildings and offer a wonderful option for both urban planners and the planning authorities. For the latest information regarding our containerized offices or if you would like to discuss the purchase or rental of a unit, don't hesitate to Contact Us.